Enterprise Architecture with a certified ArchiMate modeling tool. 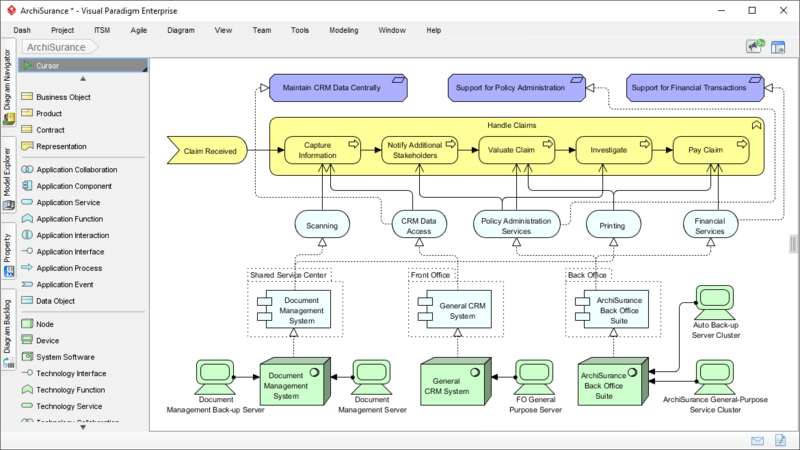 Create professional enterprise architecture blueprint quickly and collaboratively using an ArchiMate software chosen by enterprises from all over the world. 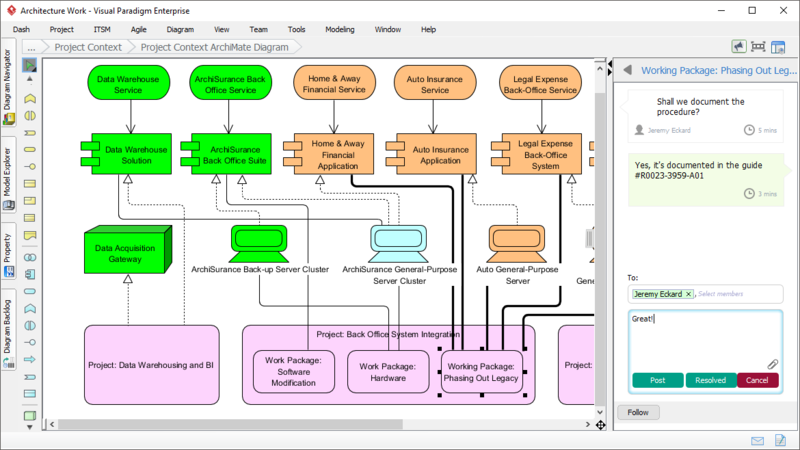 Certified by The Open Group, Visual Paradigm features an ArchiMate modeling tool that is targeted toward all levels of enterprise architects and enterprise modelers, supporting architecture design needs with all the vocabulary, notation, syntax, and semantics of the ArchiMate 3. 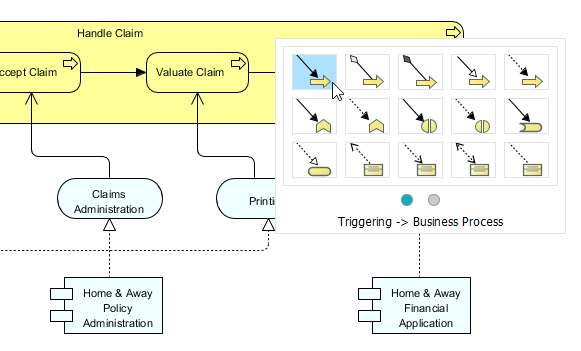 Enterprise architecture design has never been easier. 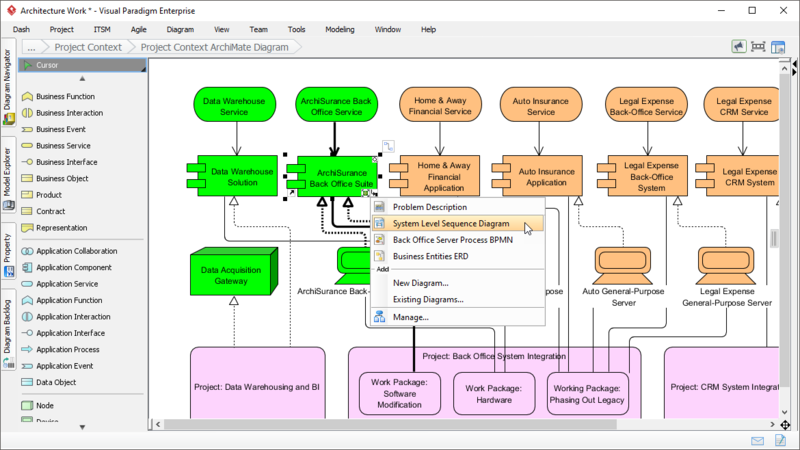 Use the ArchiMate software built with simplicity in mind to create professional enterprise architecture model in a snap. Categorize shapes with different colors, using Color Legend. 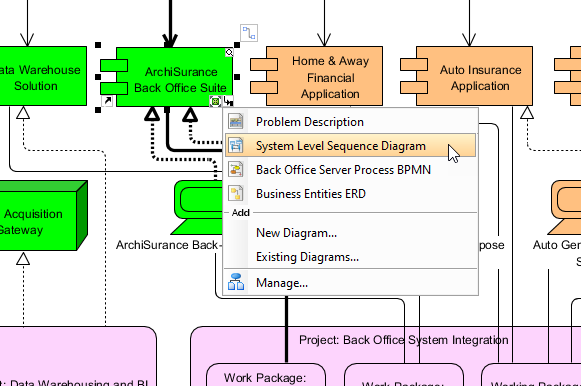 Create ArchiMate diagrams with a particular viewpoint. You can apply a pre-defined viewpoint or define your own.
. Keep your design consistent by reusing the same elements in different diagrams. Any change made to an instance will be synchronized to all other instances. Record the information specific to your project need. Refine your model with user-defined properties via the ETL Table. Increase productivity and design faster across distributed EA teams. Our cloud workspace let your team develop architecture model faster, better, together. Let stakeholders and teammates view your design by sharing it online. Anyone with a shared link can browse the diagram online through an interactive diagram viewer. 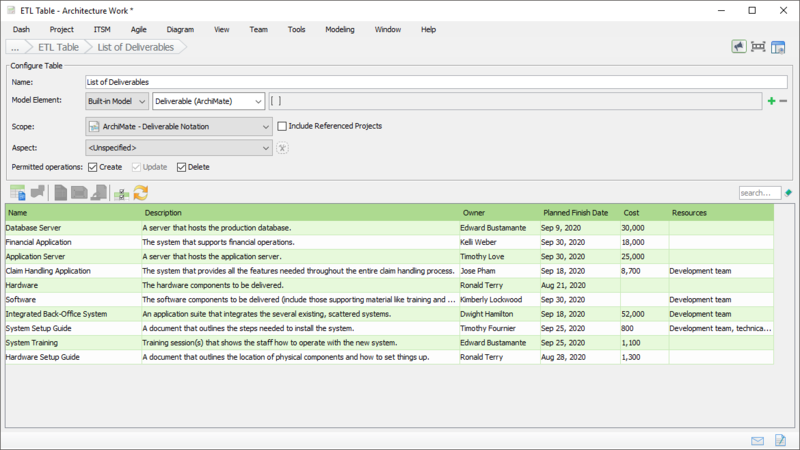 Communicate architecture design with stakeholders and EA team members online, gather feedback, and refine the design in the ArchiMate tool. 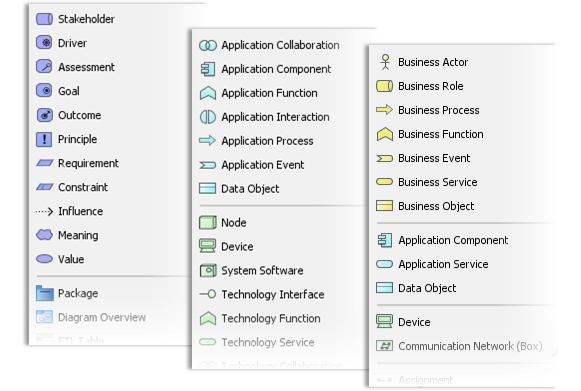 More than an ArchiMate tool. 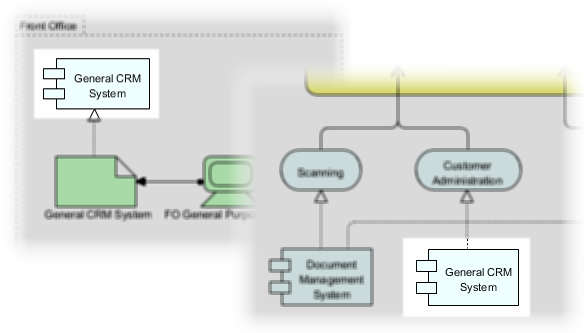 Model business process with BPMN and design IT solution with UML. Hundreds of diagrams are available. 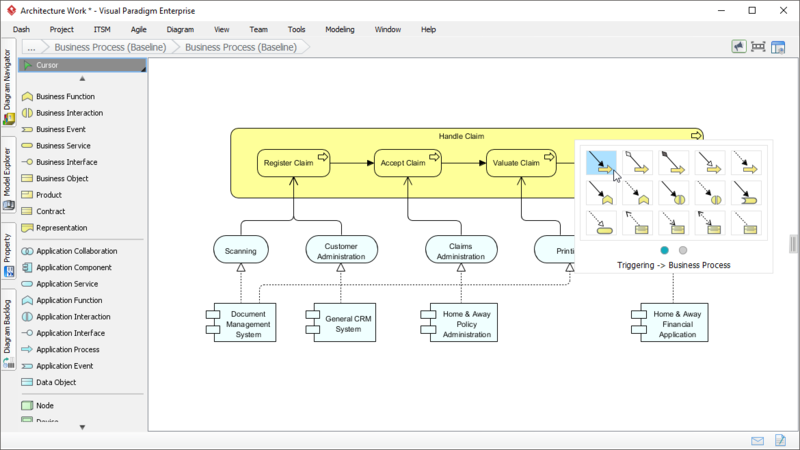 Create the diagrams you need and link them with ArchiMate diagrams for better traceability. 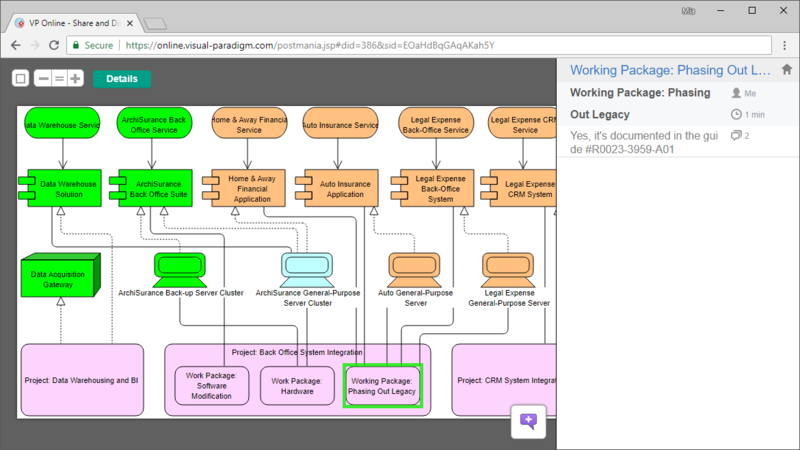 Enterprises from around the world, that you know and love have used Visual Paradigm for fast and collaborative EA modeling. Our customers range from Fortune 500 companies, to startups and government units.